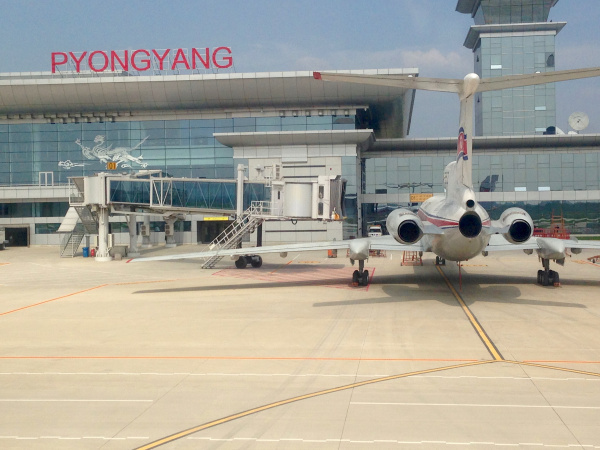 Returning from North Korea, there were things that I could only fully grasp after I went through the notes, the recordings, the videos, and the photos. In every shot, I saw something I had not seen when on the ground. The days were so intense that I felt bombarded by an overwhelming amount of information; it was like spending 13-hour days in a museum with a guide going through every detail. 1. They have Coca-Cola and Macbooks. It used to be said that North Korea was the only place one could not find Coca-Cola. Those days are gone. Despite the embargo, commonplace American and European brands were easily available. The desk in Kim Jong Il’s train carriage at the Mausoleum had a Macbook. French and Chilean wine was available on the supermarket shelves. The Windows XP logo was bouncing on the computer screens at the Library. It’s true, however, that several things are not available, like camera memory cards or non-local produce. 2. There is shopping to be done. We were told that we could buy some souvenirs but that we would not need a lot of money because everything was included. There were lots of opportunities to buy kitsch souvenirs and other not so kitsch things. North Korea is isolated but most of the international brands have made it into the country. There was Chivas and Coca-Cola. I could buy Tim Tam and Butter Cookies. There were propaganda posters, postcards, stamps, and books to buy and unscheduled activities we could join, like an evening at the Fun Fair, the Circus or even a football match. There were also several microbreweries to stop for a drink. 3. They have lots of microbreweries. Think that North Koreans don’t drink? Think twice. Soju is well known for being the hard liquor favored by the South and Koreans are known for drinking you hard under the table. They may get red cheeks, as my former Korean flat mate used to point out, but they surely know how to drink. And North Korea was no exception. 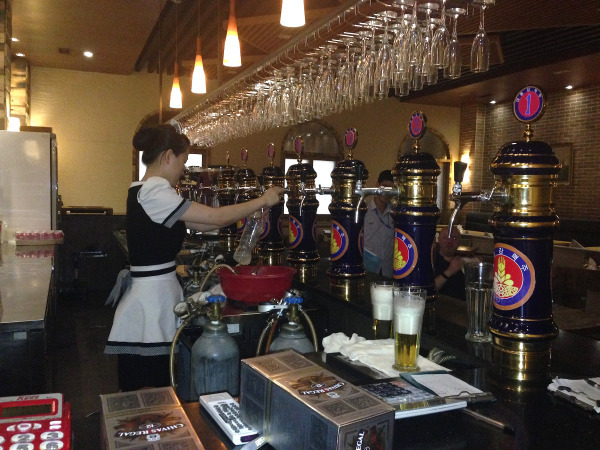 With rice and barley being widely available, microbreweries have sprouted up in the recent years. Pretty much every bar or hotel makes its own small bulk production. We had scheduled two visits to two different micro-breweries and they were pleasant surprises, even to someone who doesn’t drink beer. 4. Despite what the media shows us, North Koreans do have fun. I had imagined the country to be dull, grey and boring with not a lot in the way of entertainment. Not so. 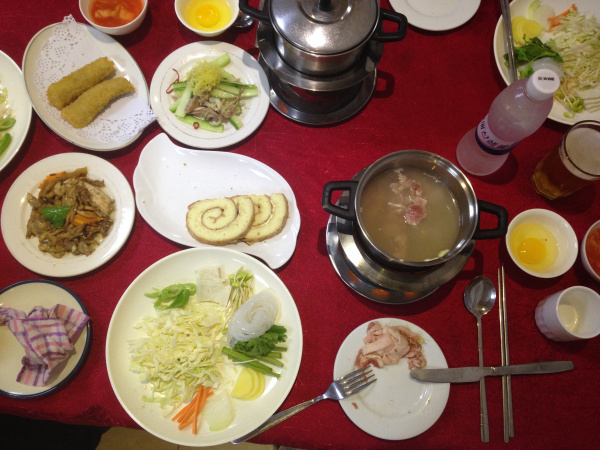 Koreans love karaoke, and at every meal the TV was turned on with the Korean karaoke lines. At the School Children’s Palace we attended a children’s talent show complete with singing and dancing. The Fun Fair was crowded; at 9pm there were lines of locals queuing to get on the rides. The beach was packed with children and adults having fun in the water. We spotted a water park through the trees on one of our nature walks and there were several locals enjoying the coolness. 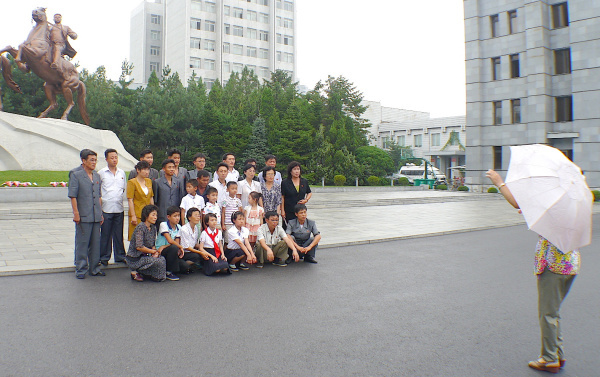 In the playgrounds and parks scattered around Pyongyang, children were being children. They were loud, their clothes were untidy and they were running around playing football. One afternoon, as we were taking a walk in one of the parks, we heard the sound of music and singing coming from a pagoda. A group of local men and women were singing, playing the drums and dancing. It did not take long before one of the ladies pulled me in. I found myself dancing to the clapping of the audience with the lady holding my hands and showing me true Korean moves. 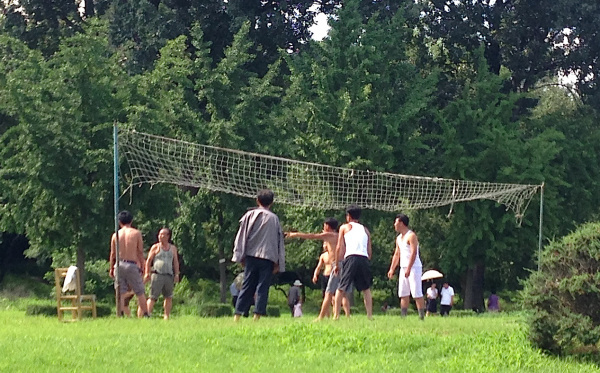 There were also several groups of men playing volleyball. 5. You CAN take photographs. We were warned that photography was restricted, but in reality I took over 2,000 photos and recorded almost 100 Gb worth of video in six days. The only times when I was advised against taking a photo was when we approached a military post, but that is the case in most countries. I had to leave my camera outside at the War Museum and at the Mausoleum, but generally I had the freedom to shoot otherwise. 6. The soldiers are friendly. 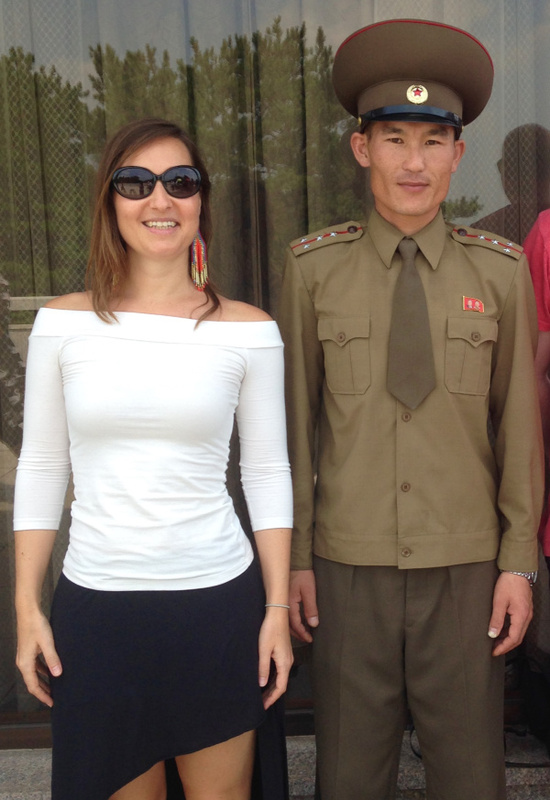 There are 1,000,000 soldiers in North Korea and 800,000 reservists making this the 4th largest army in the world. Soldiers are everywhere. They are easily recognizable by their khaki uniforms and red stars but they do not carry guns, except for the ones at the road checkpoints. We interacted with soldiers at the DMZ and the Concrete Wall and, through the translations of our guide, we had regular conversations about our country, the weather and our jobs. The soldiers were smiley and interested to hear our opinions. 7. There are lots of cell phones (but no internet). As an ex telecoms consultant, I knew that North Korea was one of the last countries to launch 3G and the one with the lowest mobile phone penetration. What surprised me was how many people have jumped on the communication wagon. Internet had just been launched on mobile but it was unclear whether people had it. Our guides did not know what 3G was, but they were on the phone all the time, reporting our whereabouts and checking on our next appointment with the “Big Orwellian Brother.” In the streets, I saw people talking on the phone while riding bikes and scooters. I even saw soldiers texting. However, there is no roaming so your phone will only work at the DMZ where you can pick the South Korean signal up. 8. You can only get there from two countries. North Korea can only be reached via Russia and China, in turn countries which are relatively hard to get visas for (although China does now have the 72-hour transit visa that facilitates the connection significantly). There are flights from a couple of Chinese cities but the easiest is Beijing. From Russia, one can fly from Vladivostok, a pretty isolated city in itself. For a more scenic ride, take the train from Beijing. 9. They don’t stamp your passport. 10. You cannot try to convert others. Proselytism (trying to convert others to another religion or opinion) is one of the most serious offenses and we were repeatedly warned against this. In the past, few people have got into trouble for leaving Bibles behind, or for trying to get them in. All books you bring in are checked at customs control. Every time I sneezed, there was no “Bless you” from the guides. When I said it to them, I received silence back. I asked the guide what they said when someone sneezed: “Nothing, we say nothing”. Religion in North Korea has been replaced by a personality cult towards Kim Il Song, the Eternal President, and Marshall Kim Jong Il. 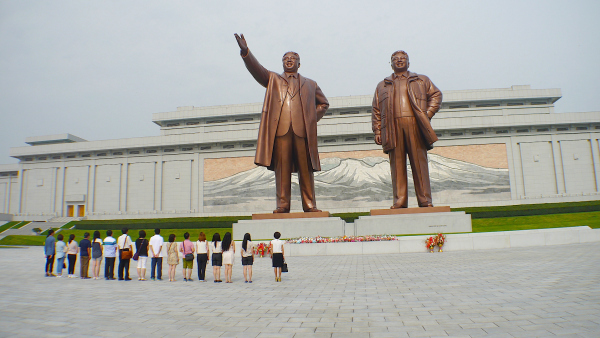 The ideology closest to a religion is the Juche Idea. Created by the President and the basis for the North Korean calendar, which starts to count on the year of his birth, Juche literally means “subject” and the entire concept revolves around self-reliance and putting Men at the center of the universe. There were no churches or mosques, with the exception of an Orthodox church used by the “Russian embassy people,” as our guide pointed out. Surprisingly, Freedom of religion is a tenet of the Korean constitution, although the country is atheist. Our guide pointed at the traditional religion, Ch’ondo, that rose in importance in the 19th century, as the religion Koreans follow, privately. 11. 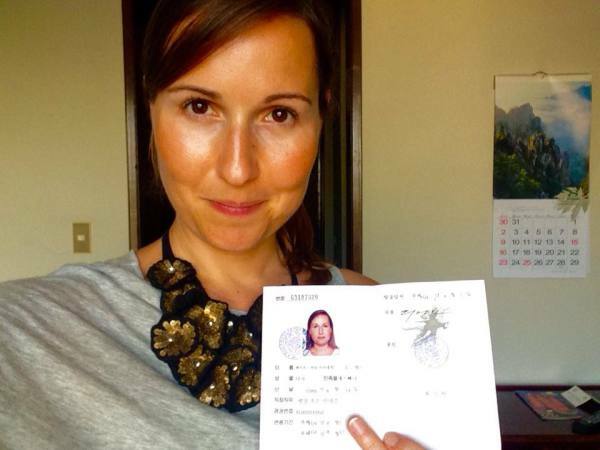 It’s easy to organize your visa for North Korea. The most common question I’ve got is, “But how?” North Korea is hard to reach in the sense of isolation. You first need to get to Beijing or Vladivostok to get there, and they both require visas that are a pain to get, or downright difficult in the case of Russia. And you need a double entry because you have to fly via Beijing both ways and on the way there, you must spend a night in the Chinese city to get the brief from the travel agency before you board. We also had to sign a couple of documents for the protection of the agency. One stated that we would not do anything we were not supposed to. The other recognized that we were not journalists. The travel agency could get their license revoked if we were secretly entering as tourists but were indeed journalists. Journalist visas can be obtained, but I suspect they would take much longer. The acknowledgement paper accepted personal travel blogs and only forbid me from entering as a contracted writer or journalist. I promptly disclosed my blog’s address and this made it to the guides, who knew the name of my blog, albeit they thought it was a travel company and I suspect they never saw it on the internet. The only people who would have a hard time to get in are South Koreans, who are not allowed. Americans, despite being despised and hated throughout the country, can easily get in via the same process, but must fly and cannot take the train. They may not feel very welcomed. “They are arrogant and ignorant and too young to care about the war. They don’t care about anything”, concluded our guide. 12. There are modern cars on the streets. 13. North Korea has its own timezone. Since Liberation Day in 2015, aka 15th August, North Korea has a new time zone. “Pyongyang Time” is now 30 minutes behind Japan (GMT+08:30) which is what it was before Japanese colonization. 14. Personal style doesn’t exist. 15. They play BBC and Al Jazeera. We were not going to bother turning on the TV, expecting that it would show propagandistic programs in Korean and the pervasive karaoke lines, but we were surprised to find the BBC World and Al Jezeera on. We happened to be there on the week of the celebration of the 70th Anniversary of the end of the Japanese Struggle and of World War II and the BBC was uncensored, openly broadcasting all the Japanese leader’s speeches. The announcement of the execution of the DPRK’s Vice-Premier in May 2015 was also played on the news on the day of our departure. For a country that is so closed off and which has regularly been referred to as being covered with a “mosquito net”, the easily availability of foreign independent news channels was a very strange find. We could not help but wonder if it had been a mistake, forgotten behind after the visit of a foreign official. As we watched, it felt as if we were doing something wrong. 16. You won’t find media of the current leader. 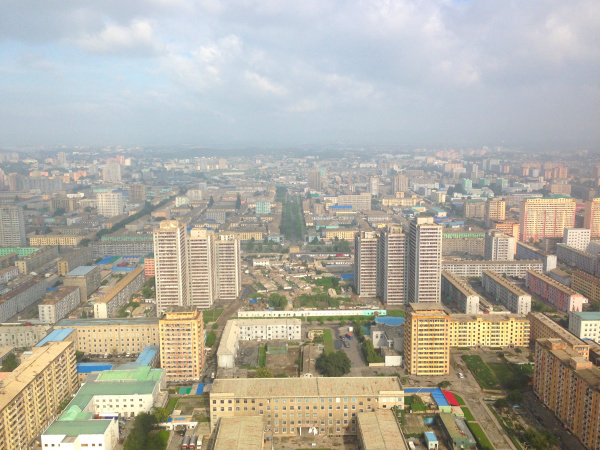 Everyone will have seen the propaganda billboards and the various photos of Kim Il Song and Kim Jong Il across the city. The country is big on personality cult but, that is exclusively aimed at the Eternal President and Marshall Kim Jong Il. Where is the current Leader? He features nowhere on official sites. His photo is not included, his name not mentioned. At every visit, when the number of times that each Leader has visited the site was recited, Kim Jong Un was never mentioned. “Why is the current Leader never mentioned or appearing on photographs?”, I asked the guide on the last day. She had heard that one before. “Because he is very modest and does not like to be photographed.” And the answer ended there. We could not be sure of the real reason but he sure featured on every newspaper providing “Guidance on “so and so” industry” not looking very shy. 17. Visitors don’t use the local currency (the Won). You cannot get your hands on local Won but can interchangeably use Euro, USD, and Chinese Yuan at any point. Often times, you will receive your change in a different currency to your payment. They seemed to prefer Euro the most but were always accepting of all three. Getting Won out of the country is illegal and we certainly never saw the currency anywhere. 18. It’s not as dry and barren as you might think. North Korea made the news in the last few years due to famine and starvation killing many people. We expected the countryside to look arid, dry, and barren. Instead, we found it to be largely covered in mountains with various rivers and streams cutting through. We drove by lakes and through valleys and gorges and all we could see was farmland stretching as far as the eye could see. However, looks can be misleading. Famine and starvation looms over North Korea this year too, due to poor rain and snowfall severely decreasing the amount of water for rice fields, and with such little availability of farmland (20% of the territory) the country suffers from dependence on agriculture, lack of international trade, and limited mechanization. 19. The guides are warm and friendly. This was the hardest element of the trip to anticipate. I did not know if the guides would be serious, fun, easy-going or officious and I was positively surprised by their warm if serious personalities. Towards the end of the trip they opened up more, but they remained soft-spoken and polite. We did not ask compromising or difficult questions and were largely well behaved, something which surely helped make them feel more at ease. With time, they gave us more space, although we were escorted at all times, and we progressively entered their lives a bit more. Contrary to other people’s experiences, ours was that of a well-trained tour guide. They fell asleep in the car journeys as much as we did and were helpful and willing to adapt the trip to our taste. We were asked, repeatedly, if we were happy and if we were enjoying the trip. 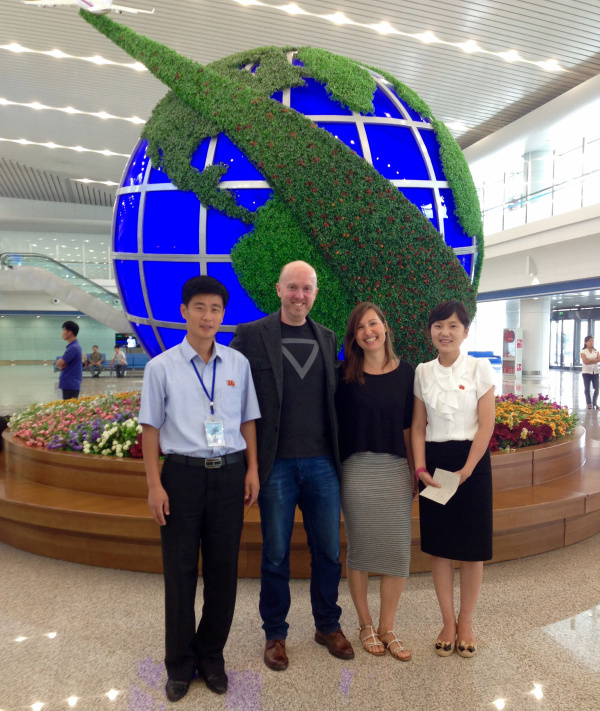 “Our company has told us that you paid a lot of money for this trip so we need to make sure you have the best time.” This was a sentence that stayed with me and which surprised me, for customer service I had assumed, was something North Korea would not worry about. 20. 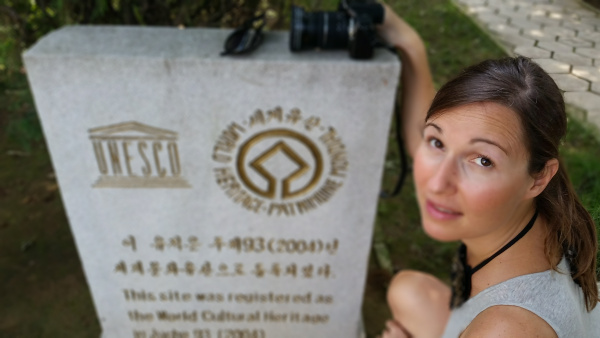 There are UNESCO sites in the country. 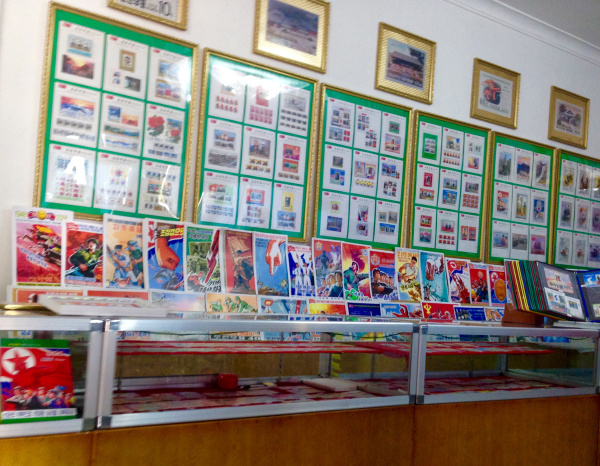 Most people do not consider the DPRK a cultural hub. 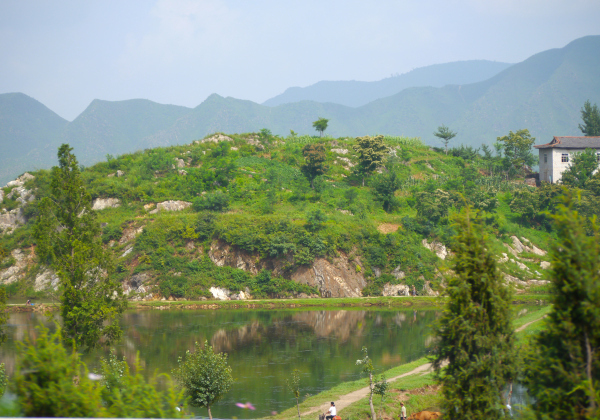 However, aside from the various man-made, Socialist and personality-cult related sites, the country also has two UNESCO listed sites, the Koguryo Tombs and the Complex and relics of Kaesong. We visited both and, although they are not as well-documented as they could be, they were both very interesting representations of the country’s heritage. 21. Despite famine conditions, visitors get way too much food. 22. They consider North Korea just Korea. In the DPRK, the official name of the country, they do not refer to themselves as North Korea, they refer to it as Korea. In their minds, and certainly in their maps and materials, the country appears as one. There is no border or separation. To them, there is no South and North Korea, both countries are simply Korea. Perhaps strange, but always observed by the guides and by any materials we saw. We were not to ever refer to the country as North Korea, we could however say, the Northern part of Korea. This article originally appeared on Once in a Lifetime Journey and is republished here with permission.